Poly Universe is a survival city-building game developed by Pouchmouse. It is set in a galaxy where planets are only slightly larger than the colonists who inhabit them. A tiny band of settlers land on a remote planet. With you as their leader they will either build a new civilization, or be consumed by the foul creatures which inhabit the furthest reaches of space. 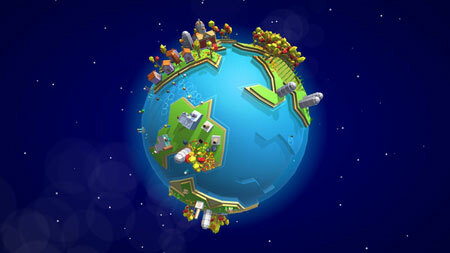 Be strategic in laying out your cities to maximize the limited space available on each world. Balance industry and residential buildings to keep your citizens happy. But don’t neglect the defenses necessary to keep them safe! Here in the outer edge of the known universe, danger can arrive at any moment, and when it does it arrives in full force. Establishing trade routes between worlds will allow your planets to specialize and share resources, pushing the boundaries of your civilization even further outwards. But always keep an eye on the health, happiness, and education of your citizens. If you get stuck in the game, check out the video walkthrough and gameplay for the game. This entry was posted in PC Games, Walkthrough and tagged Poly Universe Cheats, Poly Universe Game, Poly Universe Gameplay, Poly Universe Guide, Poly Universe Hints, Poly Universe Review, Poly Universe Solutions, Poly Universe Strategy, Poly Universe Tips, Poly Universe Walkthrough by Marvin. Bookmark the permalink.